LOLER testing is an essential requirement and is mandatory for lifts and lifting equipment, a bit like a car's MOT but for lifts. We have created a section on our app that helps record the detailed requirements and produce the necessary certification. Our ongoing App development has now included LOLER testing for companies working within the Lift industry. Details of a thorough inspection by a competent person can be recorded and sent back to HQ during the course of the visit for incorporation within the final certificate. This can include SWL, the manufacturing date of the equipment and any other statutory requirements / questions needed to complete the work. Signatures can be acquired from both the engineer and site manager with indication of the lift being left in service or not and any recommendation for ongoing maintenance requirements as a result of the visit. 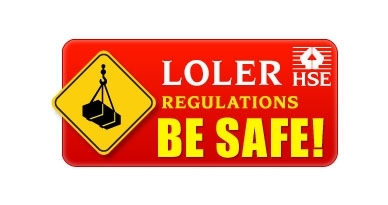 LOLER testing should not be confused with regular maintenance or service visits, where a maintenance visit would include remedial works to rectify potential problems, a LOLER inspection focuses on the load bearing elements and ongoing ability to safely lift at maximum loads. Documentation / reports are produced that form evidence of such tests being carried out. Regular maintenance and servicing is another area where the AutoVu Workforce Manager app provides check lists and job reports and attachment of any site pictures that may be required. Fur further information about out site engineer app please get in touch.